Back in 1966, Bob Morrison was the original Rambler. He trained up Instructor Dave McEvoy in the late 60s. Dave carried the Ramblers torch and founded Ramblers Parachute Centre in 1974 and started training new students professionally. He also founded the successful Australian parachuting magazine ‘Rambling On’ to communicate with jumpers nationwide. In 1979, Dave purchased the land at Toogoolawah and built the drop zone from the ground up. In the same year, Ramblers became the first Parachuting organisation in the world to use modern sport parachute equipment for student use. In 1982, Ramblers was the first organisation in Queensland and second in Australia to adopt the Accelerated Freefall (AFF) method of student training. From the very beginning Dave realized the need for an independent skydivers club for qualified recreational parachutists and their families so the Toogoolawah Skydivers Club (TSC) was formed. The Club continues to support all jumpers who take up this new and exciting sport. During the 80s Ramblers Drop Zone was the host of two international skydiving competitions, the South Pacific Championships and the World Cup of Canopy Relative Work. In the late 80s, the drop zone hosted three consecutive Australian National Skydiving Championships. Skydive Ramblers is the longest running and most experienced skydiving institution in Queensland. To this day, Ramblers continues to grow and reach new heights in the Sport and in the Industry. 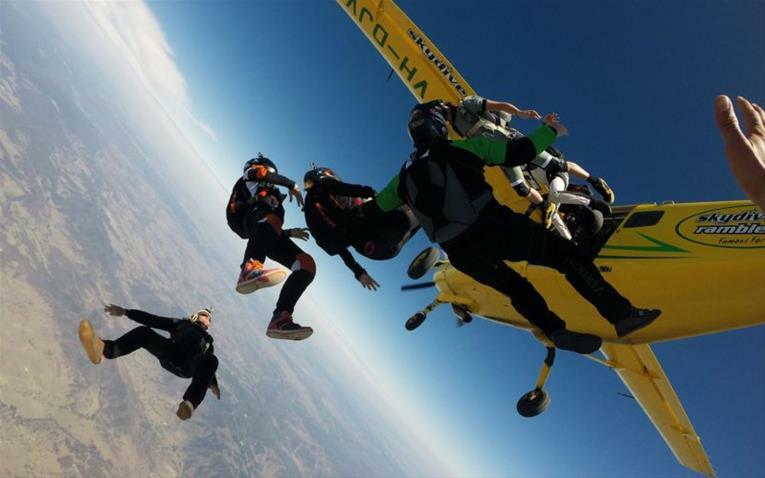 Ramblers is undoubtedly Australia’s most progressive parachuting and tandem skydiving organisation – a leader that has set the standard for other drop zones to aspire to.